St Brelade’s College is the only year-round British Council accredited school in the Channel Islands. The principles of the school remain the same today as in 1978 when the school was founded; to provide relevant and motivating English lessons as part of a comprehensive learning package. Our structured syllabus with a focus on communication has been devised in order to bridge the gap between what students learn in the classroom and what’s outside the door. We use up-to-date course books enhanced by stimulating activities and authentic media. Participation and interaction are encouraged in small, multilingual classes, to help students gain confidence academically and socially. We promote continual learning for our teachers, through internal workshops, appraisals and training courses so that their teaching styles and skills are in line with modern practice. Our permanent year-round English school is based in the picturesque harbour village of St Aubin. Young adults & adults study at the school during the summer holidays. For the rest of the year all courses are held at the school. 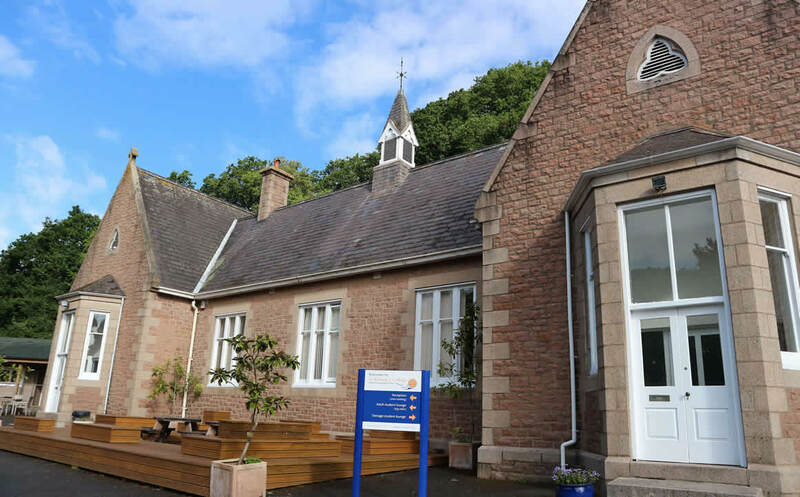 Our summer study centre for holiday, semi intensive & semi combination course students aged 14-17 years is held at Highland’s College, the local college of further education close to St Helier. Young learners aged 10-13 years study at St George’s Preparatory School, a charming private school with spacious, landscaped grounds during the summer. It is located a short drive from the main college. We also use another location for the part of June & July. We are committed to protecting and supporting our students from the moment they arrive. Our comprehensive safeguarding policy ensures that all our staff and accommodation providers understand the process for monitoring and responding to students’ needs effectively. On their first day students are given an induction which includes details about their course, activity programme, accommodation and how to be safe while in Jersey. We also ensure all students are given identification cards with details of their accommodation and our 24 hour emergency support numbers. During the school day students are supervised by our teachers and activity staff, while at home our homestay providers and residence staff act ‘in-loco parentis’ – taking on parental responsibilities. Depending on their age, students may be allowed some unsupervised free time outside school hours. In such cases clear guidelines are in place to ensure that students and accommodation providers understand the parameters. Throughout the summer our activity staff are located around the main town most evenings to provide support to students if required.